How the Telecom Regulatory Authority of India's new tariff order will affect the television business. 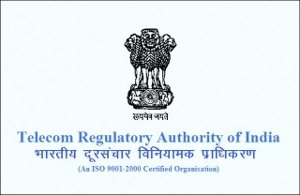 It has been some time that the Telecom Regulatory Authority of India (TRAI) implemented a new regulatory framework for the television broadcast industry of India - the New Tariff Order (NTO). The NTO, popularly known as the MRP regime, mandates that customers select the channels and bouquets they want to subscribe to and for broadcasters to announce the MRP of the same. The new regulatory framework was implemented on February 1, 2019 and the extended deadline to complete the migration from the old framework to the new one is March 31, 2019. 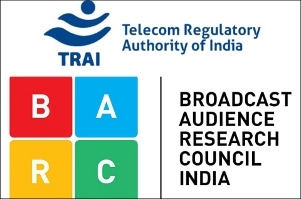 As per TRAI, India has about 170 million television households of which around 100 million are cable subscribers while 70 million uses DTH (Direct-To-Home). On February 12, 2019 TRAI was quoted announcing that 90 million homes have already migrated to the new tariff order of which 65 million were cable TV households and 25 million were DTH subscribers. So, how does this implementation of new regulatory framework impact the television industry? Earlier, consumers simply got what was served to them; now, they have to select the channels or bouquets they want to watch. Also, there was a general cable fee that each household in a particular locality had to pay every month, but with the implementation of the new tariff order, consumers will only pay for the channels they subscribe to. As recommended in the new regulatory framework, consumers will have to pay Rs 130 each month which TRAI calls the Network Capacity Fee (NCF). This fee will give subscribers access to 100 free-to-air channels. Of the 100 FTA channels, it is compulsory to subscribe to 25 DD channels leaving the consumer to choose the other 75. So, what does it do to the monthly spend on a cable connection per house? Sachin Gupta, senior director, Ratings Crisil said, "Our analysis of the impact of the regulations indicates a varied impact on monthly TV bills. Based on current pricing, the monthly TV bill can go up by 25 per cent from Rs 230-240 to Rs 300 per month for viewers who opt for the top 10 channels, but will come down for those who choose five of the top channels." It is clear that in the new regime, there is no way consumers will get the same 500+ channels they used to get for Rs 250-300 earlier. But, according to the experts afaqs! spoke with, there are surveys which suggest that an average household does not watch more than 30-40 channels and hence, these experts feel the 500 channel argument is nullified. "Seventy per cent of viewers are located outside cities and there, when they are only paying for what they want to watch, the ARPUs (Average Revenue Per User) are going down. 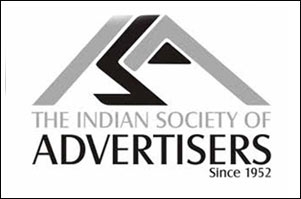 At least Rs 25 to 50 is being reduced from the absolute payout," says Vynsley Fernandes, CEO, IndusInd Media and Communications. For consumers unable to select a particular package, following the guidelines of the new tariff order, TRAI has recommended that cable operators make a 'best fit' plan on their behalf. The best fit plan, according to TRAI, must be a package curated on the basis of a consumer's existing cable TV plan and spend. Broadcasters depend on subscriptions and advertising to generate revenue. Subscription revenue is a slice of what the consumers pay while advertising revenue depends on their reach and viewership of channels. TRAI chairman, RS Sharma, mentioned time and again that broadcasters have always bundled their channels and sold it at a subsidised price, which TRAI considered akin to forcing channels down a consumer's throat. Though bundling continues in the new regime too, experts believe the impetus now, will be on content as that would be the deciding factor behind a consumer opting or ignoring a channel. "TRAI's NTO is a game changer for the industry. Although there are fluctuations in viewership and hence, ad revenue in the current quarter is affected, in the long run, it will be beneficial for the industry as ARPUs increase and so does the subscription revenue," says MK Anand, MD and CEO Times Network. Anand believes broadcasters with a strong brand and content pull can hope to build a pay-based revenue model. "News channels were at a disadvantage earlier. We believe News should not be so ad revenue-dependant as that will inevitably compromise content quality or TG prioritisation. The NTO will be a point of departure for subscription and, therefore, renewed viewer focus for News channels. It will help everyone if we stop looking at viewers only as saleable audiences for advertising," Anand adds. While DTH operators deal directly with consumers, there are multiple layers in the cable space. A Multi-Service Operator (MSO) inks content deals with the broadcasters to get the content which the Local Cable Operators (LCO) then take to the households through poles and cables. In the pre-NTO era, the LCO would buy all the content at a wholesale rate and be free to sell it at whatever retail rate he chose. "For example, the LCO would buy the whole set of channels for Rs 130 from an MSO; he would sell it to some for Rs 300 to others for Rs 250 and Rs 200," explains Vynsley Fernandes. To further break it down, let us take the example of Sion, in Mumbai. The same package, with the same number of channels, will have a very different price in buildings - around Rs 400, while in the chawls in Dharavi, consumers were asked to pay around Rs 200. The MSO would go to the broadcaster and negotiate as hard as he could to get the deal at a very good price. "If the MSO has a huge reach they did not even need to negotiate too hard for a better deal. We need to understand that the advertising revenue is a few multiples of the subscription revenue and hence, reach is important for broadcasters," explains an industry expert. ALSO READ: BARC India responds, "Our subscribers have been getting all-India weekly data"
Since there was no common pricing, 'X' MSO would sell a package to 'Y' LCO for one price and the same package to a 'Z' LCO for another. This lack of transparency often caused price-wars, swapping of boxes and many other irregular practices. Experts believe that with NTO, all these issues will be taken care of. Jokingly, a senior executive said, "TRAI's NTO is demonetisation forced on the TV industry," which could indicate that they are expecting a possible slowdown. All the experts we spoke to believe that once implemented, it is certain to bring in transparency. Will it reduce the cable bill? That remains debatable as in some regions it is going to go up while some households could pay less.